As summer draws near, more and more of us are planning our summer vacations, getting excited about travel, and looking forward to fun experiences and great memories. But "even the best vacation can be derailed by a travel emergency." The online web site for the Travel Channel has listed its picks for the Top 10 worst-case travel scenarios, along with tips on how to deal with each one, so you can get it taken care of and go on to have a great vacation. We'll look at these travel emergencies in a 2-part series. Working directly with the airline company is the key here. 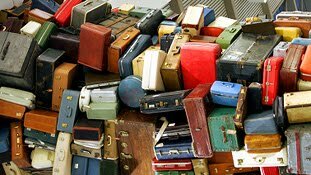 If you luggage does not appear on the arrival carousel, go directly to your airline's baggage office to file a claim. Most often the airline will deliver your luggage to you within 24 hours. If your luggage never reappears, you may complete a claim for damages and reimbursement for the current value of the lost goods. If your credit card was in your wallet, contact the issuing bank immediately to put a stop on all transactions. Report the theft to the local police and record the case number. Call the 3 major credit-reporting bureaus to place a fraud alert in your file. You can use Western Union if you need someone to wire you cash. If you've arrived at the airport too late to make your flight, go immediately to your airline’s counter to make arrangements for another flight. As problematic as this can be, it's easier to take care of at the airport. Be prepared to wait for an available flight, and to pay a fee for making new reservations. That's what it's called in Mexico, but of course a G.I. upset can occur in any where. Best tip: in certain countries avoid drinking the water and avoid eating fresh fruits and vegetables possibly washed in contaminated water. Check with the State Department and your doctor regarding travel vaccines. If G.I. problems do strike, drink plenty of clear fluids, stick to basic foods and contact a doctor if necessary. If you’re arrested in a foreign country while traveling, the most important thing you can do is remain calm. Contact the US Embassy for assistance and avoid speaking about the incident or signing anything until a consulate arrives.